Many amongst us suffer from the problem of high levels of triglycerides. 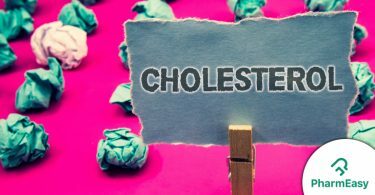 Studies have shown that high triglyceride levels can cause heart ailments especially heart attacks and stroke, with these conditions becoming more prevalent for people with low levels of HDL (good cholesterol). 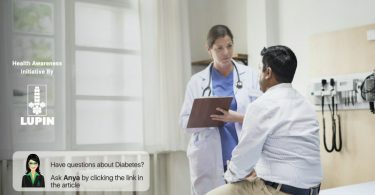 Patients suffering from Type 2 Diabetes are also at an increased risk of contracting this condition, i.e., triglycerides and diabetes have a deeper connection. 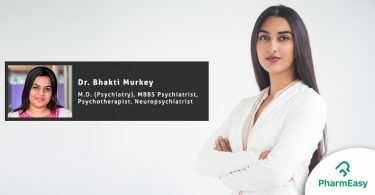 Click here to book your HB A1C levels. The Triglycerides levels are generally checked by doing a fasting blood test (you are expected to keep an empty stomach till your blood sample is collected). This is typically a cholesterol test, which is also known as the Lipid profile or Lipid panel. Very high levels of triglycerides are also known to cause liver and pancreatic problems. Triglycerides are a fat type that is found in our blood and are generally stored in the fat cells. When we eat, any calories that our body doesn’t need to get converted into triglycerides. So, when we are consuming calories at a faster rate but burning them at a slower pace, it will cause the triglycerides levels to rise. An elevated level of triglycerides in the blood is called Hypertriglyceridemia. What is the difference between Cholesterol and Triglycerides? When the triglycerides levels are high, there may not be any symptoms as it is also a silent health problem. However, it does have implications for health – it increases the likelihood of a heart attack or a stroke. High triglycerides also indicate that you maybe insulin-resistant, i.e., your body is not using the insulin hormone properly. 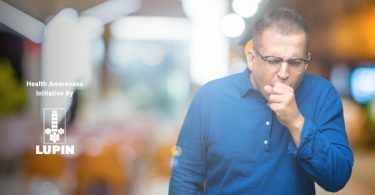 This means you are unable to control your blood sugar levels and because of this, you could be a pre-diabetic which will eventually end up as Type 2 diabetes. High triglycerides also harden the arteries and cause inflammation in the pancreas. If the inflammation in the pancreas continues it will cause pancreatitis. High levels of triglycerides also indicate fatty liver disease. Bad lifestyle choices, especially wrong food choices lead to the accumulation of fats in the bloodstream, i.e., triglycerides. These fat deposits are also found in the liver. 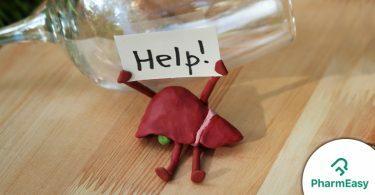 To check for fatty liver, you should get liver function tests such as ALT and AST done. Like triglycerides, the fatty liver also does not show any symptoms. However, if ignored, it can lead to liver cirrhosis or permanent damage. Highly inflated levels of triglycerides can also cause inflammation in the pancreas and result in a condition called pancreatitis. One of the best ways to control the triglycerides levels in the body is by making healthy lifestyle changes! Triglycerides and alcohol don’t go together! Alcohol is extremely high on calories and is known for its high sugar content. Thus, if you have been diagnosed with high triglycerides levels, it is vital that you keep a check on your alcohol intake. Regular bouts of physical activity do wonders for our body. Aim to reserve at least 30 minutes each day and doing Yoga, walking, stretching, swimming, etc. Keep changing your exercise routine so that your body doesn’t get accustomed to one exercise regime and the variety also keeps you motivated. Studies prove that regular exercising helps to combat triglyceride levels and also aids in the production of the ‘good’ cholesterol. So, on days when you are thoroughly pressed for time, ditch the lift and take the stairs instead. If you are obese, it is extremely pivotal that you shed those extra pounds. Resort to a healthy diet and always aim to maintain ideal body weight. When you focus on your diet – try to eat fewer calories. Instead, focus on a high intake of fresh fruits and veggies and cut down the consumption of sugary foods like soda and other aerated drinks. When it comes to your fat intake, eat good healthy fats such as monounsaturated and polyunsaturated fats found in food items such as fish, olive oil, etc. Refrain from eating unhealthy fats which are found in food items such as cheese, butter, etc. Avoid the intake of food items that are rich in refined carbohydrates such as white flour as they tend to up your triglycerides levels. Increase in the proportions of fiber in your diet also helps to up the absorption of fat by the body. This helps to reduce the triglycerides levels in the blood too. As far as possible, adhere to a fixed meal pattern by eating at regular intervals. 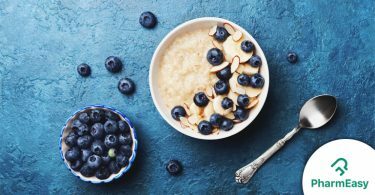 Diet and positive lifestyle-related changes are two crucial factors that can help to manage and maintain your triglyceride levels. 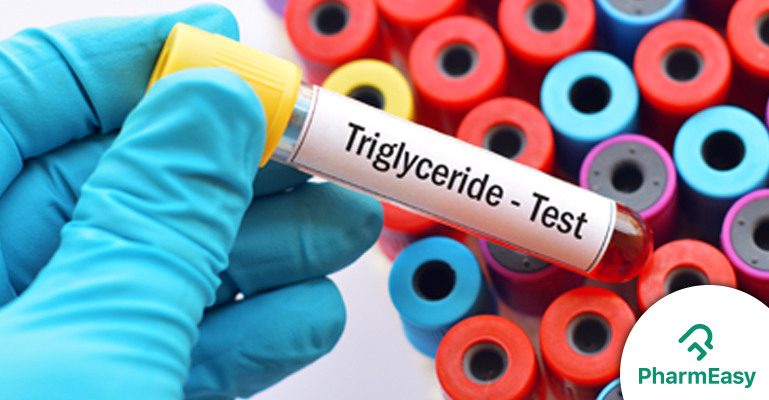 If after regular checking too, if your triglyceride level count doesn’t fall within the prescribed range then probably its time you consult your doctor. The doctor may then have to prescribe medication to bring the levels to a normal range.